There are any number of golf courses in the greater Phoenix area but for our packages we focus on the desert style courses in the surrounding areas, mainly around Scottsdale at the north end of Phoenix. We figure you don’t want to go all that way just to play on a bog standard resort style course. One of the great benefits of our featured golf is that there are a number of excellent 36 hole facilities so you can really make the most of your days golf. Boulders Golf Club, Grayhawk Golf Club, WeKoPa Golf Club, Troon North, Talking Stick, Verrado Golf Club and Gold Canyon Golf Club are all 36 hole facilities. Boulders is a wonderful place full of larger than life boulder formations which form a dramatic backdrop to what is an outstanding desert style golf facility. The front nine of the South Course is dominated by the massive boulder formations which give the resort it’s name. 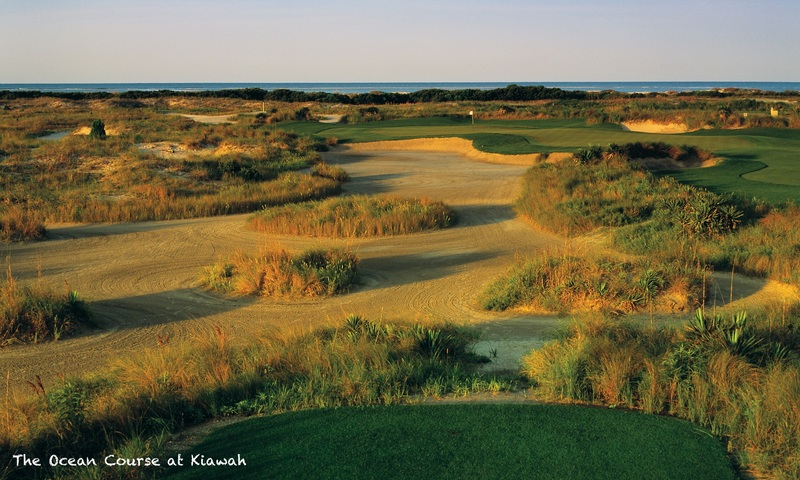 The North Course is a challenging 18 holes which will test every aspect of your game. 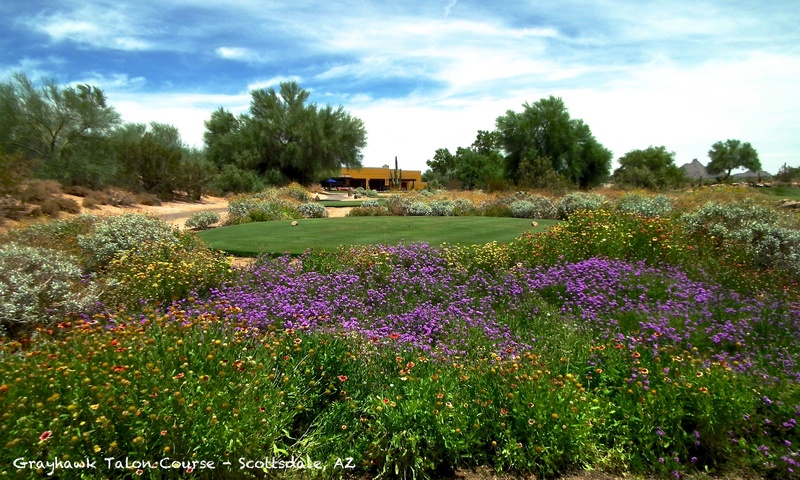 Grayhawk has two classic desert style 18 hole layouts. The Talon Course was home to the old Anderson Consulting World Matchplay won by Colin Montgomery before the event moved and became the current World Matchplay Championship. The Raptor Course at Grayhawk used to host the Frys.com Open on the PGA Tour. WeKoPa Golf Club boasts two visually striking and quite different 18 hole layouts. The Saguaro Course features wide sweeping fairways and dramatic elevation changes and is one of the few courses designed for walking with tees close to greens. The Cholla Course is more rugged and spectacular and definitely one of our favourites in the Scottsdale area. Talking Stick has two contrasting layouts. The O’Odham Course (formerly North Course) is a very natural layout shaped by the vegetation of the desert lowlands while the Piipaash Course (Formerly South Course) is a more traditional resort style layout with tree lined fairways and strategically placed water hazards. Golf Canyon boasts one of the most dramatic courses in the area, the Dinosaur Mountain Course is a wonderful layout with breathtaking views of Superstition Mountain and challenging elevation changes. The Sidewinder Course at Gold Canyon is a very natural layout winding its way around the base of Dinosaur Mountain, through natural arroyos and dry creek beds. Troon North is another 36 hole facility and another classic desert golf experience stretching through the natural ravines and foothills in the shadows of Pinnacle Peak. The Pinnacle Course is a classic desert style layout whilst the Monument Course features dramatic elevation changes which give it the feel of a mountain course, especially on the back nine. Both courses are outstanding. TPC Scottsdale is famous for hosting the Waste Management Phoenix Open on the PGA Tour which can boast the best attended golf tournament in World golf with a record of over 200,000 spectators in a single day! The Stadium Course which hosts the tournament is a long tough layout as you would expect from a TPC course but the everyday tees make it very playable. There is also the 18 hole Champion’s Course which provides gentler test of golf and makes an ideal first day round, especially for guests staying at the neighbouring Fairmont Scottsdale Princess. Quintero is a spectacular 18 hole layout and is often ranked among the best courses in Arizona. Apart from the great layout you can be ensured a warm welcome and top class service at this outstanding club as well as greens running at 12 on the stimp! Just don’t bother turning up if you are of a nervous persuasion! Rancho Manãna, in Cave Creek, just north of Scottsdale, is a relatively short but wonderfully challenging course with some extreme elevation changes and plenty of interest. The property itself is wonderfully ‘south-western’ in style having once been a Dude ranch. Be sure to take the time to have lunch at the on-site ‘Tonto’ restaurant. It is one of the most fun places to visit and play golf. Sunridge Canyon has the look of a mountain desert course. It has a very natural feel with lots of elevation changes and some breathtaking views of the surrounding mountains. It has possibly the best collection of par three’s that we have seen anywhere and is one of the toughest courses we have played. This outstanding course is backed up by great service and excellent facilities. Just Southwest of Scottsdale is Longbow Golf Club, a pure desert layout with iconic views of Red Mountain from virtually every hole. North of Scottsdale is another fine desert layout, Legend Trail Golf Club. The back nine has some particularly fine holes. We are adding to our Scottsdale portfolio all the time and recent additions include Eagle Mountain, the 36 hole Verrado Golf Club and the highly rated Ak-Chin Southern Dunes Golf Club. In Scottsdale you really are spoilt for choice. If you fancy a golfing away day then Sedona, just two hours north, is an absolute must visit. Sedona Golf course is a parkland style layout in a mountain setting offering considerable elevation changes and spectacular views of the red rocks of Sedona. Its worth the visit just to sit out on the patio, enjoy some lunch and the awesome views. To plan your trip please take a look at our Scottsdale Accommodation pages along with our feature on Sedona.